In February 2014, at a North Bristol Writers meeting I said “We should write an anthology!” which was greeted by enthusiasm by all present. Writing the stories was the ‘easy’ part; how would we get it published? In 2014 The North Bristol Writers created an anthology and successfully funded it via Fundsurfer. 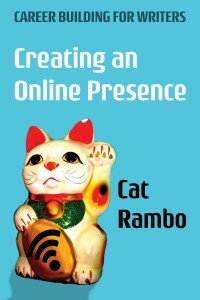 The book is now available to buy in eBook and paperback from Tangent Books & Amazon worldwide. 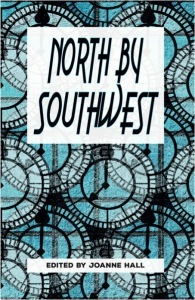 North by Southwest is an anthology by ten writers. The tales are mainly set in Bristol and are an eclectic and unlikely series of journeys through landscape and story. These are all new stories, never before published, and show great variety. Here lies the strength of the book, showcasing as it does the work of the writers after a year or so of collaboration. Bristol is a vibrant, creative city and the tales here are infused with that energy. Bristol has had such a great effect on transport through the ages – it’s an airplane city, a railway city, and a port city – so naturally such themes recur, as does the theme of ‘North’. In February 2014, at a North Bristol Writers meeting I said, “We should write an anthology!” which was greeted by enthusiasm by all present. Writing the stories was the ‘easy’ part; how would we get it published? A few friends had run successful Kickstarters and we toyed with the idea of crowdfunding but weren’t sure how to start. Then I had a chance meeting at a reading evening (the much missed Small Stories) with another writer – Amy Morse http://www.amymorse.co.uk/ who had just successfully funded her novel Solomon’s Secrets via a funding platform I’d not heard of – Fundsurfer, which is a Bristol based crowdfunding platform, very similar to Indiegogo and Kickstarter. I invited Amy along to a North Bristol Writers meeting to talk about her experience and after her talk we determined to use Fundsurfer. Mainly because Fundsurfer was local and the stories were mostly set locally. We got on with writing the stories and recruiting local artist Claire M Hutt to do the cover and illustrations. Claire was a key addition as we could use her art for pledge rewards. I had a couple of meetings with the Fundsurfer guys, who were super helpful and also with local publisher Tangent who were going to facilitate the publishing process. We budgeted for Typesetting, Design, Printing and postage & packing then set up the Fundsurfer page. The most difficult bit was making the video, no-one in the group had any experience of making videos. We recorded a few hours of footage and in the end I only used the audio from it. We launched the Fundsurfer at the end of October 2014 at BristolCon, who very generously donated several sets of tickets for the 2015 Con that we could use for pledge rewards, and set it to run for until mid-December. Friends who’d had successful crowdfunding campaigns gave some great advice. The best piece of advice was “build the crowd, then the funding” so we had spent a while telling everyone we could think of that the book existed and needed funding. So that when we launched the Fundsurfer campaign a lot of people already knew about it. I’ve mentioned a couple of rewards already and obviously the rewards and the levels are key to the success of the project. We started with a long list of about fifteen rewards but with the advice of ‘less is more’ from the Fundsurfer guys we whittled them down to seven. Apparently it’s like the way people choose wine, some will go for the bargain basement (but in fact we had very few go for the lowest reward level) some will go for the mid-range and some will go for the top range. The majority of people will go for the mid-range. So having a range of rewards is more important than having a variety of awards. We budgeted for a certain number of physical copies and worked out the likely number for P&P. P&P kills many crowdfunding campaigns & is something you need to give careful consideration to! We got some nice publicity from Bristol 24/7 and a very entertaining ‘celebrity endorsement’ from local writer Jonathan L. Howard. With 10 writers, an editor and an artist involved we thought that funding would work out if we could all get a few friends & family to pledge. It was still a nailbiting few weeks as the project slowly accumulated the funds; slower than I would have liked. We reached our funding goals a few days before the project was due to end and got pretty much what we asked for, getting just £62 over our goal. Often it felt like all those times in school when you tried to get money out of people for doing a sponsored walk, or similar. We mainly sold it as a pre-order for the book, but potentially didn’t set expectations well enough, that once we had the funding the process of getting the book published would begin, and as we all know, everything in publishing takes a lot longer than you think. However the actual process has been very smooth, thanks to Tangent. 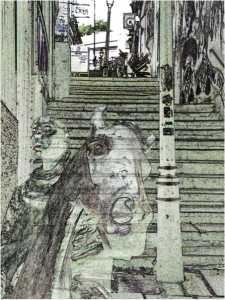 All the funders have now received their eBook and the print book is imminent. 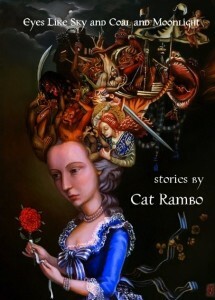 We are looking to have a local launch and have started planning our next anthology. Would I crowdfund again? 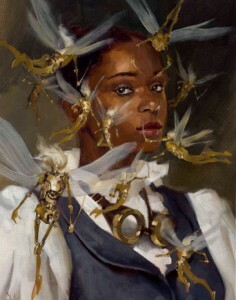 It’s a very viable way to fund a project but it does rely totally on people’s goodwill and it is a lot of hard work. The amount of people who will “get round to it” is very large and there is an inevitable amount of nagging, which I didn’t like at all. However we were successful and it was the most equitable way of creating the book. 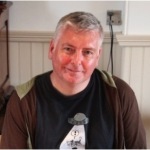 Bio: Pete Sutton is a UK writer and blogger, one of the organisers of Bristol Festival of Literature and contributing editor to Far Horizons magazine . He is a contributor to the Naked Guide to Bristol and you can read his latest published story – The body in the lake in Fossil Lake 2 published by Sabledrake Enterprises. Follow him on Twitter as @Suttope and read his blog here: http://brsbkblog.blogspot.co.uk/ & his website here: http://petewsutton.com/. 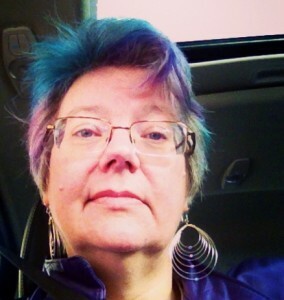 Want to write your own guest post? Here’s the guidelines. Enjoy this writing advice and want more content like it? 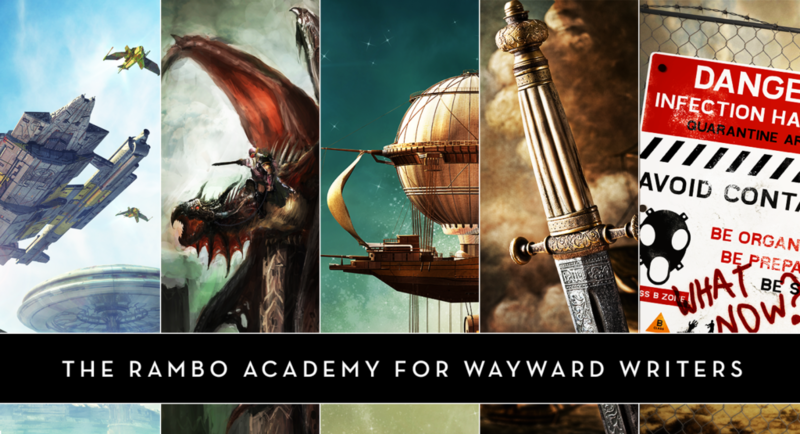 Check out the classes Cat gives via the Rambo Academy for Wayward Writers, which offers both on-demand and live online writing classes for fantasy and science fiction writers from Cat and other authors, including Ann Leckie, Seanan McGuire, Fran Wilde and other talents! All classes include three free slots. 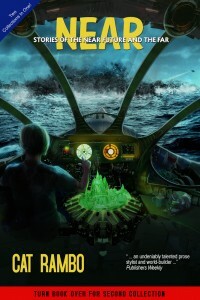 This entry was posted in guest post and tagged bristol, crowdfunding books, guest blog post, guest post, north by southwest, pete sutton. Bookmark the permalink.